We offer CPR/AED/First Aid through the American Heart Association. There are several classes that are offered based on your personal or business needs. 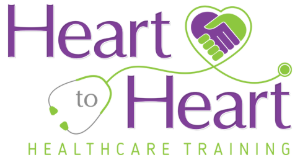 One of our goals here at Heart to Heart Healthcare Training is to educate the community on life saving techniques such as CPR/AED/First Aid, to help save lives in emergency situations. We want to make our community Heartsafe by increasing our neighbors and loved ones chances of survival in an emergency situation, such as cardiac arrest. You can save your loved one’s life by simply attending one class and knowing how to properly administer CPR, use an AED and first aid techniques. Our service area includes the following counties; Washtenaw, Livingston, Ingham, Genesee, Shiawassee, Wayne, Lapeer, Midland, Tuscola, Gladwin, Saginaw, Jackson, Lenawee, Bay, Oakland, and more. Call us to find out if we come to your area. This course is for healthcare professionals who need to know how to perform CPR, as well as other lifesaving skills, in a wide variety of in-hospital and out-of-hospital settings. Certification – 2 years. This class is for healthcare providers such as EMS personnel, physician assistants, doctors, dentists, nurses, respiratory therapists, dental hygienists, and nursing students. Heartsaver® First Aid, CPR, AED is a classroom, video-based, instructor-led course that teaches students critical skills needed to respond to and manage a first aid, choking or sudden cardiac arrest emergency in the first few minutes until emergency medical services (EMS) arrives. Students learn skills such as how to treat bleeding, sprains, broken bones, shock and other first aid emergencies. This course also teaches adult CPR and AED use. This course is intended for anyone with limited or no medical training that needs a completion card in CPR and AED to meet job, regulatory or other requirements.